FIIs NET BUY RS 1311CR ON 31-05-11. Labels: FIIs NET BUY RS 1311CR ON 31-05-11. At today's closing price the market cap of Coal India stood at Rs 2.58 lac Cr, second only to Reliance Industries, whose market cap is Rs 3.11 lac Cr. Except in the case of Innoventive, FIRST CHOICE IPO RECOMMENDATIONS were correct in all other cases. RCom Q4 net at Rs 169cr, down 86% compared to previous year. SK Roongta may join Vedanta group. Govt may raise MSP for kharif crops by 20%. IOC net for FY 11 dips due to subsidy burden. NSDL may probe IPO scam - SEBI. SBT proposes rights issue. SBI Caps and BOB Capital Markets are the BRLMs. Indraprastha Gas FY11 net profit up, to pay Rs 5 dividend per share. The total dividend pay out for the year is Rs 22 per share, as against Rs 20 in FY10. The consolidated revenues are at Rs 39708cr for FY11, as against Rs 33709cr in FY10. The net profit earned is Rs 3080cr, as against Rs 2479cr. The diluted EPS comes to Rs 51.29, as compared to Rs 42.17 in FY10. To pay a dividend of Rs 11.50 (230%) per share. Labels: M and M DECLARES RESULTS FOR FY11 TO PAY 11.50 DIVIDEND. DLF TO SELL IT PARKS, HOTEL BUSINESS, EXPECTED PROCEEDS OF RS 7000CR TO BE UTILISED TO REDUCE THE DEBT. Unitech FY11 profit declines to Rs 568cr. Ex-MD Sanjay Chandra still in jail. Tecpro System net profit up by 24%(YOY) to pay 30% dividend. Timbor Home and VMS Ind IPO opens today. Avoid both the IPOs. Search this blog for detailed analysis. Gitanjali Gems revenue crosses $ 2 billion. NMDC PAT RS 6499cr, up 89%, total dividend payment 330%. Banks recoveries up in AP, due to MFI crisis. These entities were found indulged in circular trading in dozen scrips in 2009. Mr. Sunil Mehta (PAN : AAQHS1190F and ACEPM8838L), Ms. Anjana Mehta (PAN : ACOPM6377N), Mr. Bhavesh Kothari (PAN : AABPK7614H), Mr. Manish Mathur (PAN : AIVPM4384J), Mr. Praveen Gate (PAN : AJOPG3159M), Mr. Rakesh Jain (PAN : AEMPJ7329B), Mr. Bhavesh Jain (PAN : AGCPJ7776Q), Mr. Ramesh Gandhi (PAN : AADPG7990C), Mr. Sitanshu Nanawati (PAN : AGDPN4597Q), Mr. Devendra Kumar Rai (PAN : AINPR6798Q), Mr. Meena Rajawat (PAN : AFEPP9056J), Ms. Usha Mehta (PAN : ABQPM3248M), Mr. Shaikh Soalli Jainuddin (PAN : BJCPS6572H), Mr. Bharat Jain (PAN : AACPJ0602M), Mr. Vinay Kothari (PAN : AAFHV6824A), Mr. Pradeep Kothari (PAN : AAJHP7271F), Mr. Ajay Roongta (PAN : AAVPR5584R), Mr. Seema Mathur (PAN : APRPM5075M) and Mr. Suresh Hanswal (PAN : ABPPH6308A). These entities are prohibited them from buying, selling or dealing in securities in any manner whatsoever, till further directions. VA Tech Wabag net jumps at Rs 55cr for FY11. Ramky Infra reports net profit of RS 206cr for FY11, up 61% over the previous year. To pay a dividend of Rs 4.50 per share. The shares closed at Rs 281 in the exchanges. VMS IPO to open on 30-05-11. SEBI bars 19 individuals from accessing security market. These entities were found indulged in circular trading in dozen scrips in 2009. ECB limit raised to $30 billion, from the present $20billion. Ratnakar Bank - BASIX (mfi) merger shut down by RBI. GMR puts AI, KF air lines on cash mode. The United Overseas Bank, Singapore, has frozen the controversial on line survey research company's bank accounts. Country's most preferred low cost carrier has posted a net profit of Rs 101cr for FY11, up 65% over the previous year. The net profit margin has improved by 70 basis point to 3.4%. This is commendable performance by Spice, since most of the air lines are incurring losses. The company expects 15% demand growth in the domestic market for FY 12. Spice which has 25 air craft now, plans to have around 70 air craft by 2013. The shares of Muthoot Finance was up almost 10% in exchanges, following its good performance for FY11. The shares were trading around Rs 172, as against the previous day close price of Rs 158. Muthoot is a good long term bet, in the NBFC segment. GoM to meet today, will take up Cairn-Vedanta deal. BSNL,MTNL and ITI merger on cards. RBI seeks PMS details from banks. DE Shaw and RIL JV -DE Shaw Financial Services to offer entire spectrum of services. Shree Ganesh Jewellery posts excellent results for FY11, declares 60% dividend. Muthoot Finance - PAT Rs 494cr, EPS Rs 15.78 for FY11. JLR boost Tata Motors profit. Revenue at Rs 123133cr, Net profit Rs 9274cr. Honda to setup motor cycle unit near Bangalore. EIL has reported good numbers for FY11. Total revenue stood at Rs 2823cr and net profit at Rs 523cr. EPS comes to Rs 15.50. The net profit margin stood at 18.50%. The stock closed at Rs 263 in the exchanges. IPO ANALYSIS: TIMBOR HOME LIMITED –MAY NOT STAY AFLOAT – AVOID. 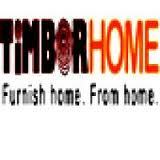 Investors are advised to avoid the IPO of Timbor Home which is scheduled to open on 30-05-11. The company intends to issue 36, 90, 000 equity shares in the price band of Rs 54-63. The issue closes on 02-06-11. Corporate Strategic Allianz are the BRLM. A.S. Maloo, M.V. Patel A.D. Daga and Maloo Building Materials private limited are the promoters of the company. Timbor Home is a manufacturer and retailer of modular kitchens, furniture and doors, and door and window frames. It has a pan-India distribution network and three manufacturing units located in Gujarat. Timbor’s products have weak branding in a highly fragmented furniture industry, where unorganized players have almost 90 percent market share. Timbor is a relatively small player in terms of size and number of stores. The presence of players like Future group, Godrej, Nilkamal, Style Spa, Millennium Lifestyle and Durian - who enjoy a strong brand recall and positioning – further intensifies competition. Out of its 84 stores, only 3 are company owned. This exposes Timbor to the risk of franchisee stickiness, which may hinder its future growth prospects / margins. * No provision has been made for taxes. CRISIL grade 1 for the IPO. Negative operating cash flow in FY10 and FY11. Company has no dividend history. The agreement with large share holders (DB Corp, TOI) provides for exit, after lock in period, will further dilute the promoters holding. According to CRISIL, the second line management, internal process and control are weak. The company has reported a turn over of Rs 55cr for the 9 months period ending Dec2010. Out of this, the debtors outstanding are Rs 37cr. The figures for the corresponding period are Rs 51cr and Rs 19cr respectively. It appears that the turn over for the latest period is ‘manufactured’ in view of the IPO envisaged. The company has not made any provisions for taxes, for the latest period. The hidden object of the issue it appears is to provide an exit route to the early investors. The company, post issue will have equity of Rs 14.75cr. It will be difficult to service the equity, with the kind of margins and the business model pursued. TATA STEEL POSTS ROBUST GROWTH, NET PROFIT AT RS 9792CR FOR FY 11. Steel major Tata Steel reported robust increase in net profit for FY11 at Rs 9792cr compared to Rs 1715cr in the previous year. The total revenue stood at Rs 118753cr (Rs 102393cr). The company declared a dividend of Rs 12 per share. The stock expected to witness positive reaction tomorrow. The PSU behemoth reported a consolidated revenue of Rs 50234cr (44615cr) and net profit of Rs 10867cr (9622cr) for the FY11. The EPS comes to Rs 17.19(15.22). Coal India has declared a final dividend of Rs 0.40 per share, including the interim dividend already paid the total pay out comes to Rs 3.90 per equity share. Coal India has a share capital of Rs 6316cr of Rs 10 FV, of which 90% is held by the central government. The issue is being managed by Ashika Capital, the BRLM who were associated with Tirupati Inks and Vaswani Industries. The Vaswani IPO is yet to be listed in the exchanges. SEBI has ordered a probe into the alleged irregularities / withdrawal of applications by 3000 investors after closer of the IPO. In all probability the IPO may get the axe of SEBI and may return the money to the investors, apart from penalizing the intermediaries for wrong doing. Now have one poor quality IPO from the same BRLM. The Gujarat based ship recycling company intends to mobilize Rs 25.75cr for modernizing its plant and for meeting the long term working capital needs. 1. IPO grade 1 by ICRA. 2. Moderate scale of operation, profit margin. 3. The company has very limited experience in ship recycling. 4. Listing only at BSE. 5. Negative cash flow in FY10 and FY11. 6. Related party transactions in the last two years. 7. Project not appraised by banks / FI. Poor quality IPO. The shares are not worth even at face value. More over, this segment is not fancied in the stock market. The shares of comparable companies like Inducto Steel and Hariyana Ship Breakers are available at 4PE. Although the revenue has jumped by 300% in FY 2011, the PAT has come down, compared to the previous year. This is an indication of decling margin and the level of competition. STAY AWAY FROM THE IPO. POST LISTING INVESTORS MAY GET 2 SHARES FREE FOR EVERY ONE BOUGHT. As against the net profit of Rs 426cr in Q3, the company reported a net profit of Rs 345cr in the lat quarter. For the whole year the net profit stood at Rs 1640cr, down 4.7% compared to the previous year. The company has declared a dividend of 100 percent on its Rs2 equity share. FIIs NET BUY RS 188CR ON 24-05-11. Labels: FIIs NET BUY RS 188CR ON 24-05-11. MANDHANA IND DECLARES 20% DIVIDEND FOR 2011. Labels: MANDHANA IND DECLARES 20% DIVIDEND FOR 2011. Rural Electrification Corporation Limited's consolidated revenue for 2011 is Rs. 8108.77 Cr, as against Rs. 6430.85 Cr for the year ending on 31-MAR-2010. The Net Profit earned is Rs. 2584.90 Cr, a jump of 25% compared to previous year. The newly listed Shilpi Cable technologies shares will attract 5% circuit filter from 25-05-11. The performance of top merchant bankers in the country was pathetic in 2010. The same saga is continuing in 2011. Kotak Mahindra is top again in worst performance. Kotak has managed 3 issues in 2011 so far - Tata Steel (FPO), Muthoot and Future ventures. All these issues are quoting below the offer price. JM has manged two issues -PTC Financials and Future ventures. Both are quoting below offer price. Enam has managed one issue - Future ventures. The story is same with ICICI Securities and SBI Caps who have managed three and two issues each respectively. Citi, Deutsche, HSBC Securities and RBS Equities have manged a issue each with the same track record as their peers. It is for the readers to guess how much money investors, particularly retail investors, have lost. Rising NPAs in PSU banks are a concern - Pranab Mukerjhee. Reliance Mutual Fund declares dividend for its 33 Fixed Horizon Funds. New IMF chief before 30-06-11. GSPC IPO in 2012, may go for private placement now. M D Mallya is IBA chief. SPEAK ASIA FRAUD - ONCE A JOB IS BOTCHED, ANY ATTEMPTS TO FIX IT MAKE IT WORSE. Speak Asia talks of exit option to subscribers. Speak Asia has collected Rs 11,000 each from 2 million people in the promise of multiplying the investment in one year. It boasted it as the world's largest integrated research survey company. Now the company's lawyer says the main product of the company is internet magazine and not survey or research. He says people have paid money for subscription of the magazine. The lawyer also says he will recommend to company to give exit option. It appears that the lawyer has not understood the magnitude of the fraud and amount involved. Where are the funds to repay the subscribers? The company has spent a lot on the advertisement and major portion of the amount collected might have been transferred to foreign countries.The regulators should act fast and freeze all bank accounts of the company and distribute prorata to all investors / subscribers. Public Sector Bank employees to go on strike, on July 7, against outsourcing and reforms. ITC net profits up by 25% in Q4. Public sector banks reach out more villages than targeted in FY11. ONGC FPO on schedule - to open on July 5. ONGC takes additional higher subsidy burden of Rs 2000cr. SEBI may allow unsubscribed employee quota in public offers exclusively to retail investors. Indian Bank FPO- Enam, ICICI Sec, Kotak and SBI Caps are to be the BRLMs. FIIs NET SELL RS 182CR, DIIs NET BUY RS 398CR ON 20-05-11. 1. Malegam Committee Report on MFIs has imposed cap on interest rate, margins, total indebtedness and tenure of loans. The committee has put a cap on margins @12%. The operating cost for SKS is around 10%, thus leaving a net margin of 2%. From this, the company has to make provisions for bad debts and for unforeseen circumstances like natural calamities, which is very common in states where it operates. Even if SKS is going to have CAGR in excess of 40% in the coming years, that will not be sufficient create value for share holders. Operating cost may move up further, since the tenure of loans has been extended to 24 months, which will results in higher collection costs. 2. Trying to Sail in two boats at the same time, which are moving in opposite directions. The ultimate goal of micro finance is to enable the poor to build assets, increase incomes, reduce vulnerability to shocks and economic stress and improve quality of life by enabling better access to education and healthcare, at affordable cost. Value for share holders can be created by earning more profits, paying higher dividends, professionally managing the company, among others. At whose cost the company wants reward the share holders? There is clash of interest. You cannot enrich the share holders at the cost of the poorest of the poor. 3. Corporate governance issues. Loan to promoters at 0%, to poor borrowers @26%.p.a. The CEO was sacked immediately after the IPO, in an unprofessional manner. The company secretary has resigned since then. There is exodus of staff at SKS. In the IPO year the promoter Vikram Akula was provided the loans @ 0 % for purchase of the company shares, where as loans provided to borrowers carry interest at @ 26% p.a. The transaction may be legally valid. It tells lot about the real concerns of the promoters for the poor. If one looks at the salary and ESOP for top management team will understand their mind set and their commitment to the declared cause. 4. Look at the insider trading data. SKS has created a kind of a record for any listed company in the history of stock exchanges. No need to explain. 5. A micro finance bank may short circuit SKS growth story. A consortium of PSU banks and AP government will start a micro finance bank shortly, which will short circuit SKS growth story. The bank will offer loans @ 12% or less. There are discussions in other states to start to similar banks to help the poor. The business model of MFIs will go for a six when that happens. 6. Narayana Murthy of Infosys is the chairman of business ethics and corporate governance in SKS. First Choice had sent mail to SKS 3 weeks ago to ascertain how many times the committee has met. So far no reply has been received. It appears that committee has not met so far, other wise there would have been news reports on the same. In one full year, if there is no meeting on corporate governance may tell a different story. 7. Venture Capitalist has suffered huge losses, bound to exit in the near future booking loss. Many venture funds have invested around Rs 600. They have waited enough. The funds may quit any time booking losses. 8. Stock exchanges too have provided a clue. The stock had a circuit filter of 20%, which was reduced to 10% and then to 5%. 9. SKS – top value destroyer. IPO price Rs 985, CMP Rs 350. Investors of all categories have lost heavily, having invested in the stock. They are waiting for an opportunity to offload. The stocks moves up a little there will be selling pressure. The brokerage houses have down graded the stock as under performer. 10. Business ethics – charging interest @ 26% p.a. to the poorest of the poor, downtrodden and hapless sections of the society, is not good. THE COMPANY WITH ALL ITS ROBUST CAGR, PROFITABILITY AND UNIQUE BUSINESS MODEL HAS NO HISTORY OF DIVIDEND PAYMENT. The RBI and Income Tax department have stepped in. Mumbai High Court has issued summons to top 5 officials of the company. If the business were to be genuine the top management would have issued clarifications and presented themselves in the electronic media by now. This has not happened. It appears that the boat is under the sea. The construction and engineering major L & T posted better than expected results in Q4. The company reported a total revenue of Rs 15384cr and net profit of Rs 1686cr in the last quarter of FY11. For the whole year the figures were Rs 43095cr and Rs 3958cr respectively. The stock moved up by almost 6% in the exchanges, closing above Rs 1600 level. A total of 8.4million shares were traded in NSE. Speak Asia is not registered in India and does not have a full pledged office in India. It runs Ponzi scheme. New investors / members are rolled in to pay the old members. The name of the company has been changed 3 times in last 5 years. ICICI,BATA, NESTLE and BHARATI are not their clients. The company is black listed in Singapore for non compliance. At the press conference the CEO of the company was not able to answer simple questions like the business model, names of the clients, financials, regulatory compliance. Raid by Sales Tax officials on the franchisee offices in U.P. ED, RBI, MCA,SEBI and Mumbai police are investing the alleged fraud. Apply common sense while dealing with such kind of fraudsters. There is no business in the world which offers assured return of 40-50% on investment. If there is one they will not tell you / make public announcement. Good news for micro finance borrowers in Andhra Pradesh. A consortium of 5 banks along with State and Central government will soon start a exclusive micro finance bank, which will offer loans at 12-14% p.a. much lower than the rate charged by the NBFC -MFIs. The bank may start functioning from the third quarter of this fiscal. The same model can be replicated in other states, which will benefit millions of micro finance borrowers, who are borrowing at very high rate of interest from micro finance companies like SKS Micro. SEBI has deferred the listing of the IPO pending detailed inquiry into the irregularities, in retail segment subscription. According to the reports over 3000 retail applications were withdrawn or dis qualified after the bidding had closed. SEBI is also probing the role of BRLM - Ashika Capital in the whole episode. First Choice had advised the investors to stay away from the IPO, because of its poor quality and dubious integrity of its BRLM. The IPO has received very poor response so far. The Qualified Institutional Buyers portion has been subscribed only to the extent of 59%. The retail response is also lukewarm with only 11% subscription. The IPO closes tomorrow for retail segment. In view of poor response, First Choice modifies its recommendations from Invest to Avoid. At this levels of subscription, it is difficult to see listing gains. One can take a call, post listing. The CEO of the Speak Asia company was not able to answer simple questions - like the type of business model, the sources of income, client list, whether appropriate permission from RBI has been obtained. It appears this online fraud is bigger than Harshad Mehta stock scam. Hope the regulators will nab the culprits before it is too late and protect the interest of small investors, who have invested their hard earned money in the company. First Choice had given sell call on SKS in Dec 2010 when it was quoting around Rs 950 and advised the investors to switch to Coal India which was quoting around Rs 320, then. The share value of SKS has come down by 60% and where as Coal India shares have appreciated by 20%. It is never too late, even now also investors can switch either to Cairn or Coal India from SKS. These two stocks will give better return than SKS in the coming years. Speak Asia which has enrolled close to 2 million panelists, by charging Rs 11,000, for its on line survey project may face probe for FEMA violations. Apply commonsense. Please do not enroll yourself. Why does a company requires 2 million panelists for a simple survey?. To pay the panelists some one should buy their survey report. Who is buying their survey report? Who are the promoters of Speak Asia and what is their credentials? What is their business model? If the business model so robust why Speak Asia collects money from the poor panelists? There are scores of unanswered questions. FIRST CHOICE ADVISES TO STAY AWAY FROM SUCH CHAIN COMPANIES, WHOSE ULTIMATE AIM IS TO DE FRAUD THE GULLIBLE INVESTORS. The bank has reported a revenue of Rs 81,394cr and net profit of Rs 8265cr for FY 11. This translate to an EPS of Rs 130. However, the Q4 results was disappointing with net profit of just Rs 21cr. Higher provisioning for bad loans and gratuity in the Q 4 has resulted in drop in net profits. COAL INDIA, NUMBER TWO IN MARKET CAP. ONGC FPO - AWAIT DETAILED ANALYSIS. AANJANEYA LIFE CARE IPO CLOSES TODAY - AVOID. FIIs NET BUYERS ON 09-0511.